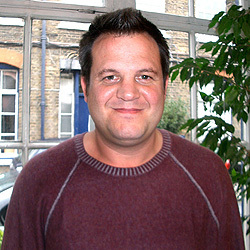 Aschlin is Co-writer of The Catherine Tate Show (with Catherine Tate), winning several awards and BAFTA nominations, and has written for many television shows including Channel 4’s No Angels, Little Heart (the Benny Hill biopic for Matt Lucas) and most recently for the Sky Atlantic series, Mr Sloane which was devised by Robert Weide of Curb Your Enthusiasm. Aschlin’s film, Swimming with Men was released in July 2018, starring Rob Brydon and directed by Oliver Parker. His other feature films include Scenes of a Sexual Nature with Ewan McGregor, Tom Hardy, Eileen Atkins and Gina McKee and French Film with Hugh Bonneville and Eric Cantona for which he won Best Screenplay at the Monte Carlo Film Festival 2008. He has just collaborated with Nigel Cole and Catherine Tate in Do Not Disturb for UKTV. His new film Man Inside is being developed with Film 4 for a 2019 shoot and his series for BBC 1 is shooting in the same year.